I am so confused. About everything. One minute I think the meds are starting to finally kick in, and the next that I will have to stop taking them because the only effects are bad ones. I suppose it is a good sign that I occasionally think they are working. It has been a very long time since that thought even entered my mind. Today, me and K went to the AASCEND‘s 6th Annual Conference On Autism and Asperger Syndrome. For the most part, I am glad we went. It is always good to be around other autistic people. It reminds me that I am not alone. I still need to be reminded. 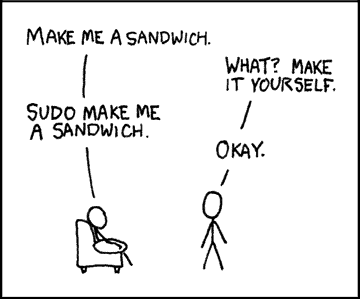 Sudo (superuser do) is a utility for Unix- and Linux-based systems that provides an efficient way to give specific users permission to use specific system commands at the root (most powerful) level of the system. Side effects. They have come and they are annoying. Hopefully, they will go away soon! 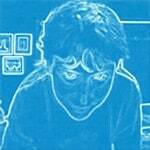 Autiblogger. Added user level plugins and a nice new theme today. School. Almost done with the CSS class. Maybe the best class I have ever taken. I learned so much in 8 weeks and got every question that I’ve ever had about CSS answered. Friend. Heard back from an old high school friend that I recently found on google. Made me happy. Nikkyo. 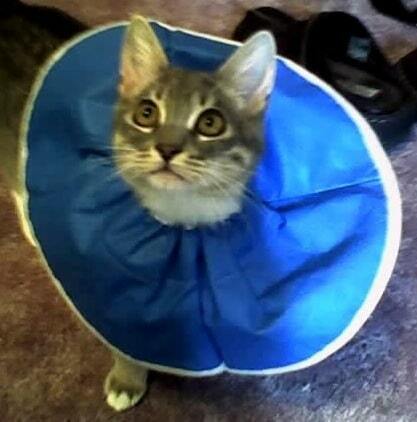 Took her to the vet this morning to get spayed. Can’t pick her up until tomorrow after 9:30 am. I miss her. Shiki. Thought about her a lot when I dropped Nikkyo off at the vet. The last time I went there and came back without a cat was the last time I ever saw her. Work. I have been getting a lot of it lately. Makes me happy. Travelling. I wish it was easier for me. Two trips planned for December – Seattle, where K has a training and I will randomly explore, and Chicago for Matt and Laura’s wedding. The world. Very scary. What is wrong with people?! Water. I really want to go to the water. Good thing this is the last thing on the list!